As many viewers expected, The Flash pulled a giant bait-and-switch in its season finale, negating the tragic ending of the penultimate episode. True, there was still some tragedy involved, as HR sacrificed himself for the team, earning a measure of nobility for a comic-relief character. (I have to admit, even though I was pretty sure Iris would survive somehow, I didn’t figure out the face-switching twist even though we’d been reminded of HR’s tech earlier in the episode. But that’s okay, since the rest of the internet did.) You could look at this as a dirty trick on the part of the writers, trying to have their cake and eat it by putting us through the death of Iris (which we’d already seen play out umpteen times over the course of the season) at the end of last week’s episode, only to undo it into the opening moments of this week’s finale. That’s a perfectly valid reaction, and I did find the fake-out cheesy, but at least it opened the door for The Flash to try something a little different at this season’s end and perhaps even course-correct for past mistakes. With Iris saved, the time paradox that created Savitar is undone, but for some reason he doesn’t immediately disappear. (There’s some mumbo-jumbo about how it will take a few hours to catch up with him, but that didn’t make a whole lot of sense. The real reason, of course, is that there are 55 minutes left in the episode.) The smart thing to do at this point would probably be to whisk Iris away to Earth-98 or somewhere for the next few hours, but instead the gang hangs out at STAR Labs while Savitar coaxes Cisco into turning the Speed Force Bazooka into a device that will scatter him throughout all of time, rendering him omnipotent. We’ve come a lot way since Cisco was building freeze-guns back in season one; apparently there is no limit to what he can whip up given a few hours. Instead of trying to defeat Savitar in the traditional season-ending fashion, however, Barry decides to try it another way. He takes Snart’s advice from last week and embraces the light rather than the darkness, inviting Evil Barry to STAR Labs in hopes that love will triumph over hate. It makes sense in a way, since the whole reason the future Barry turned dark was his rejection by Team Flash, but the fact that Savitar just killed HR makes forgiveness hard to come by, especially where Tracey is concerned. For a few minutes, it looks like it might work, with Iris even offering to look past his attempt to kill her, but it turns out this was all a ruse allowing Evil Barry to plant the Philosopher’s Stone in STAR Labs. The speedsters manage to evacuate everyone in time, but the lab is toast. Hope no one was in the gift shop! Cisco has finished his work on the Speed Force Bazooka, and Savitar decides to simply trust that he’s done what he was asked to do, which is silly, because of course he didn’t. 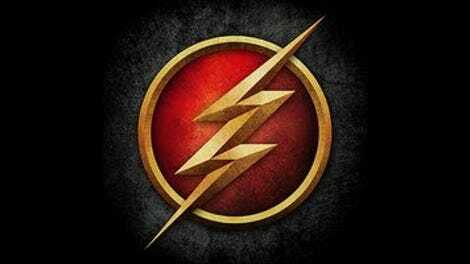 Instead Cisco converted the device into a Speed Force Skeleton Key, allowing Jay Garrick to escape his prison. The climactic showdown finds our Barry taking over the Savitar suit (which looks much scarier in red), the Speed Force sending a Zoom remnant to join the battle, Killer Frost choosing to save Cisco by blasting Savitar, and finally Iris shooting Evil Barry right before he dissolves into nothingness. Order is restored with one exception: Given the choice to transform herself into the old Caitlin, Frost declines. This is a good decision, if not for her, then for the show: she’s now something in between Caitlin and Killer Frost, which is much more interesting than if she’d just reverted to her previous self. Alas, there’s no time for Team Flash to rest on its laurels. Wedding planning is put on hold when a Speed Force storm strikes Central City, threatening to destroy it unless a speedster replaces Jay in Speed Jail. Barry makes the sacrifice, as he should, since this is all his fault in the first place. This is by no means a perfect finale: the plotting is clunky and often nonsensical. On an emotional level, it works, however, and the episode as a whole appears to be explicitly designed to correct for the mistakes that have been made with Barry’s character over the past season and a half or so. He consciously rejects the darkness, he accepts responsibility for his selfish actions, and he pays the price. 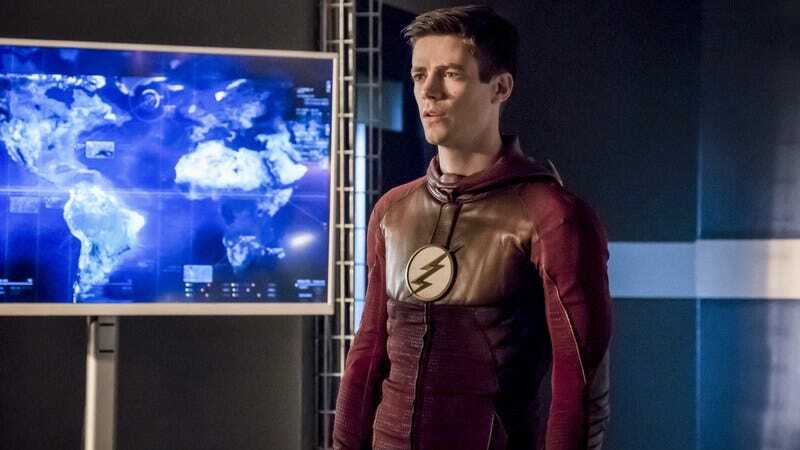 Now, of course he won’t spend more than a few episodes in Speed Jail next season, but the groundwork has been laid to restore Barry Allen to the optimistic, heroic figure that made us fall in love with the show in the first place. As least, here’s hoping that’s the case. It must be Evil Doppelgänger Week on TV, what with this following Twin Peaks on Sunday and last night’s Gotham. I’ll spare you my thoughts on the similarities between the Speed Force and the Black Lodge. Will Harry be restored as a permanent member of Team Flash next season, or will we get yet another variant at some point? Maybe it’s about time to kill that gimmick and just stick with the Harry we know. HR was a lot of fun, but that version of Wells had probably maxed out his entertainment value by season’s end, so his sendoff felt appropriate. Tonight we got our second hint about next season’s Big Bad, as future Barry mentions DeVoe, previously referenced by Abra Kadabra. The good news: he’s not a speedster! In the comics, DeVoe is known as the Thinker. Gypsy also joined the battle tonight, admitting that she and Cisco have a connection after all. That’s a wrap on season three! See you in the fall.